Jon Vogl of The Buffalo News wrote a very revealing piece today which centered around former Sabres goalie Ryan Miller and his coach at the time, Lindy Ruff. Back in 2008 Miller was the face of the Sabres and represented the future of USA Hockey heading into the 2010 Winter Olympics in Vancouver, B.C. Ruff, who spent 16+ years as the Sabres head coach, was never one to shy away from skating his team through tough practices after lackluster efforts and did so after a 2-1 Sabres loss in Florida. Miller was included in the skate as well. From Vogl's piece, "Ruff called out Miller after the Florida game saying, 'you've got to get saves there' in reference to both goals and added the first one was 'an easy play for Ryan to read.'" "With sweat pouring down Miller's face," continued Vogl of the practice, he quoted Miller as saying, "Well, I guess I'm going to have to read better,"
Vogl wrote about Miller being unhappy and thought he was calling out his coach with that remark. Much to his surprise, such was not the case. "He was very adamant as to why," wrote Vogl. "He was scared of the coach. He said Ruff was in charge of his career and playing time. Miller was worried if he crossed him, he could be benched or shipped out of town." The exact opposite of what Vogl and others expected. That was roughly 10 years ago and Miller's fears never seemed to be the same as a forward group that oft times were accused of creating a "country club setting" which lead to underachievement as a team from the 2007-08 season onward. Ruff was fired by owner Terry Pegula in 2013 and replaced by rookie head coach Ron "Garden Gloves" Rolston who proved rather quickly the following season that he was in way over his head. Rolston was the first of, now, four coaches since Ruff was fired on February 20 that year. After Rolston came a year-plus of Ted Nolan, two years of Dan Bylsma and this April will mark the first season under Phil Housley. Many believe that Nolan, who's systematic shortcomings are the stuff of fodder, was hired to lead the team to the top of the draft by coaching them to the bottom of the league. Perhaps that may have been the case. Or perhaps as a hire of Pat LaFontaine, who was named President of Hockey Operations for the Buffalo Sabres on November 13, 2013, Nolan was expected t do what he's always done, motivate his team through a very trying time and make them as competitive as could be. Tank be damned. During the 2014-15 season when the Sabres as an organization were focused upon losing to guarantee a shot at Connor McDavid or Jack Eichel, Nolan had a group of nobody's and borderline NHL'ers actually making some waves through much of the season, a franchise-worst 14-game losing streak and 0-12 month of January notwithstanding. Even with that abysmal stretch, it still took until the second-to-last game of the season for Buffalo to reach their goal of securing last place in the standings and Nolan was a big part of that. He was fired April 12, the day after the season mercifully ended. With the potential to select McDavid in the draft maybe even land soon to be free agent coach Mike Babcock, who's considered to be one of the best in the business, Nolan's firing was a pretty much a foregone conclusion. But while the organization went chasing rainbows and lucky charms, believing that fate would smile upon them not once but twice, a good coach was being tossed aside at the end of that season. Nolan's shortcomings are well documented in that X's and O's to him might make up some foreign equation found on Mars and he was mocked repeatedly and relentlessly most everywhere in Buffalo because of it. However, say what you will, his players always worked hard and would run through a brick wall for him. What Buffalo got in X's and O's after his firing, they lost in motivation. The first year under Bylsma the Sabres increased their point total by 50%, which is impressive even if they were coming off of a 54-point tank season. After that, a disappointing season that saw a disconnect between him and his players. He was fired after two seasons. Yet nothing has changed with the hiring of a rookie head coach in Housley. "Too many Sabres either don't care or think they're in charge," wrote Vogl of the present state of the team. "The players don't listen or, even worse, don't feel they even have to listen. It's a major reason why the Sabres are bottom-feeders once again." Housley, an extremely gifted, Hall of Fame player who worked wonders with the Nashville Predators defense as an assistant coach, knows his X's and O's, as Vogl points out. "Housley has a great knack for forecasting exactly what the opponent will do, and he explains it clearly in the morning. When the puck drops, the opponent follows the blueprint and the Sabres stand there and get run over." And there's the rub. 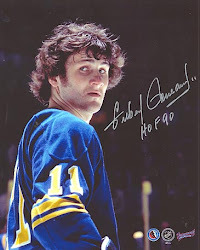 The Sabres have had two very knowledgeable coaches who are in tune with the intricacies of the modern game but were not able to motivate their team to the point where they could play it properly game-in, game-out. In no way should this be construed as a call to bring Nolan back to Buffalo. But in hindsight, a team coming off of consecutive last place finishes with no sense of identity and the ire of the hockey world harshly directed at them probably could have used a foundational season under Nolan just to get them something to rally around while learning to play the game properly as a new team. In Bylsma's first season we watched the Sabres struggle with his system while also watching them fumble through basics like passing and covering a two-on-one. The hiring of Housley made it even worse. Granted the players seemed to have figured it out somewhat, but it's way to late this season and there are no guarantees any success they may have through the end of the season will carry over. The Pegulas and their GM Jason Botterill will have some decisions to make moving forward. While most in Sabreland can't wait to add more talent, which is a good thing, not having a proper team construct or worse, not having motivated players especially star players, makes for a vicious cycle. If Housley's not the answer as coach, and this very well may be true, once again the organization will be looking for a new head coach. Hiring a fifth coach since 2013 might not be the ideal, but it's about wins and losses and we know that it's easier to fire one coach than it is to move on from 10 players. What it does come down to is finding the fit. The Detroit Red Wings are considered one of the best organizations in sports and rightfully so. What people don't remember is that the decades prior to their 25-year playoff run was known as the "Dead Wings-era." From 1982 when Mike Ilitch took over the team until their first of four Stanley Cups beginning in 1997, the Red Wings went through five coaches including three coaches in the first four seasons coming out of the Dead Wings era and two more before Scotty Bowman lead them back to the promised land. 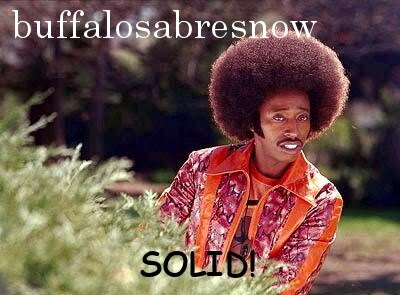 The Sabres are what they are right now. It ain't pretty and just throwing talent and money at trying to fix it is not the solution. Talent will help immensely, but without motivation, it's meaningless. "Sometimes guys think they're playing hard," Housley was quoted as saying by Vogl, "but they're not playing hard enough and they have to work. I think that's the bottom line for a lot of guys." For a short period of time over the past five years, that was never a problem.